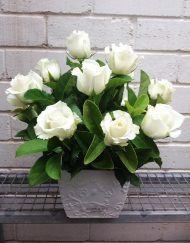 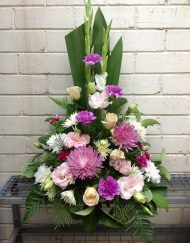 My favourite Mother’s Day arrangement. 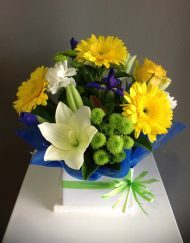 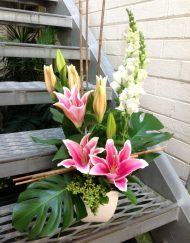 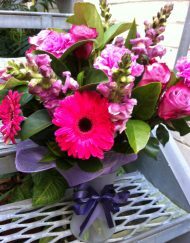 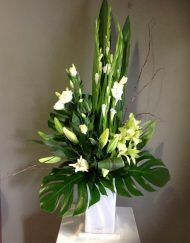 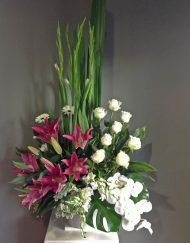 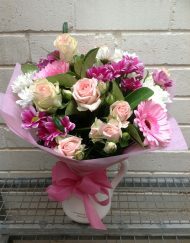 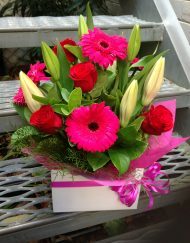 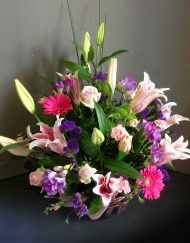 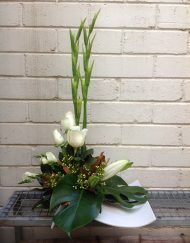 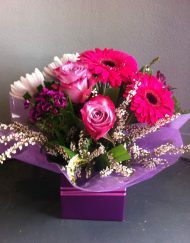 An eclectic selection of nuts, foliage, berries, lilies, lisianthus, roses, and gerbera. 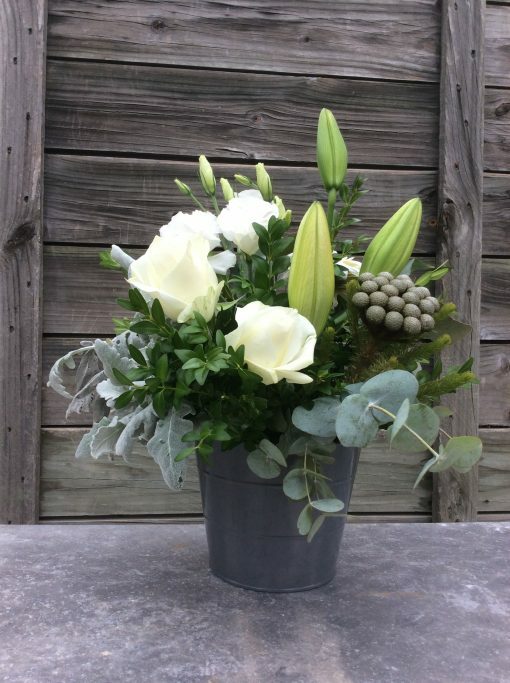 The keepsake modern charcoal gray pail is included.